Find samples of communicative activities in our Persian classes in this tab. This is a temporary personal page created as a reference to my teaching approaches and best practices. 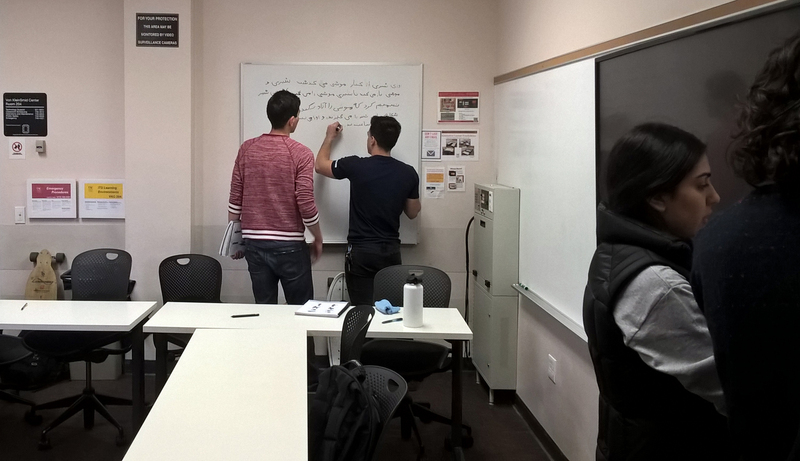 See how my student Tim Doner is speaking Persian fluently after two months of immersion. See one of my former students Sahar who worked as the Director of Iran in the White House under the Obama administration. The following communicative tasks and language functions have been identified based on the Student Learning Outcomes (SLOs) and student need's analysis. The SLOs have been developed in line with the World-Readiness Standards for Learning Languages. Class photos and video clips have been recorded to demonstrate the application of pedagogical theories in a real classroom settings and to find possible deficiencies in order to adjust the curriculum and teaching practices. 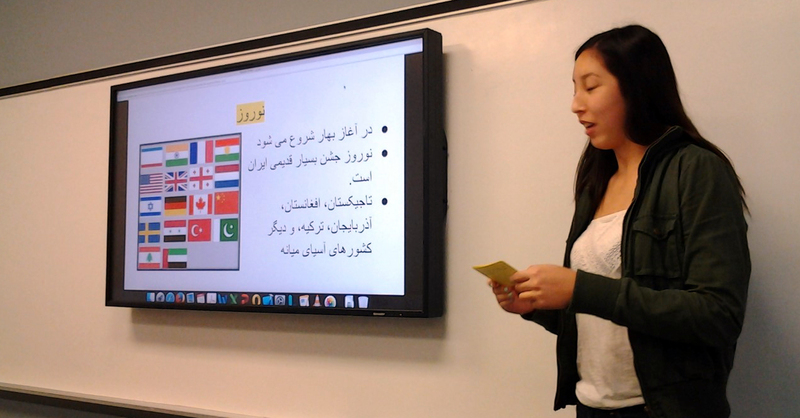 The Persian student is presenting "Persian & Iranian Languages". 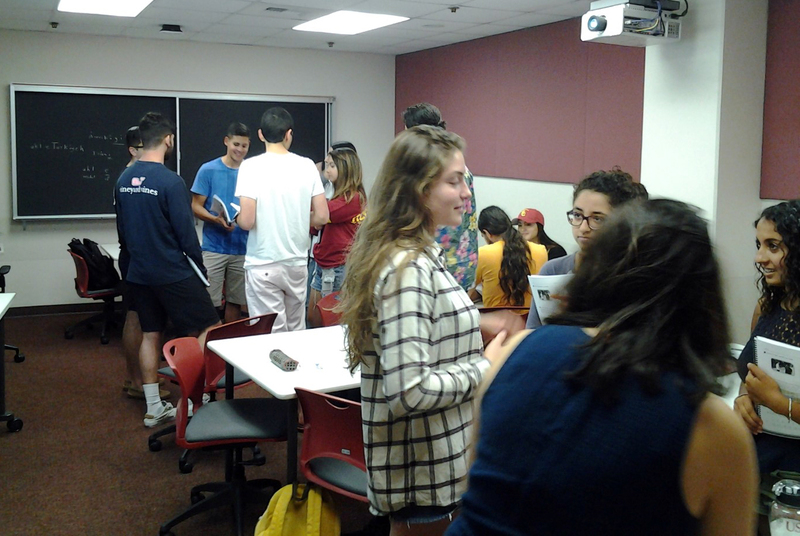 The Persian-II students are playing the role of a travel agent and a customer. The student listens to a set of instructions, follows them and navigates through a map in an interpretive mode of communication. 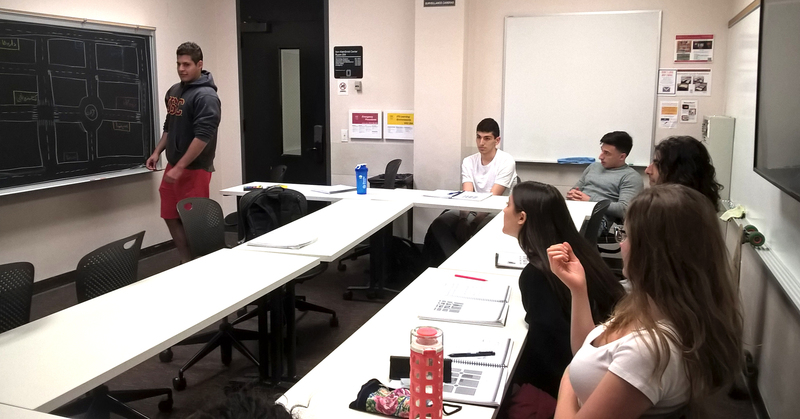 The other student, who instructs him, is in interpersonal mode by speaking and navigating him. Persian students make a documentary in Persian by interviewing, translating from Persian to English, dubbing, directing, and narrating a story. Here is a short clip of their longer project. Persian-II students make a funny comic strip using narration and role-play tasks. They create speech bubbles in Persian and record their Persian acting on the bubbles. The technology used for this activity is called Pixton. 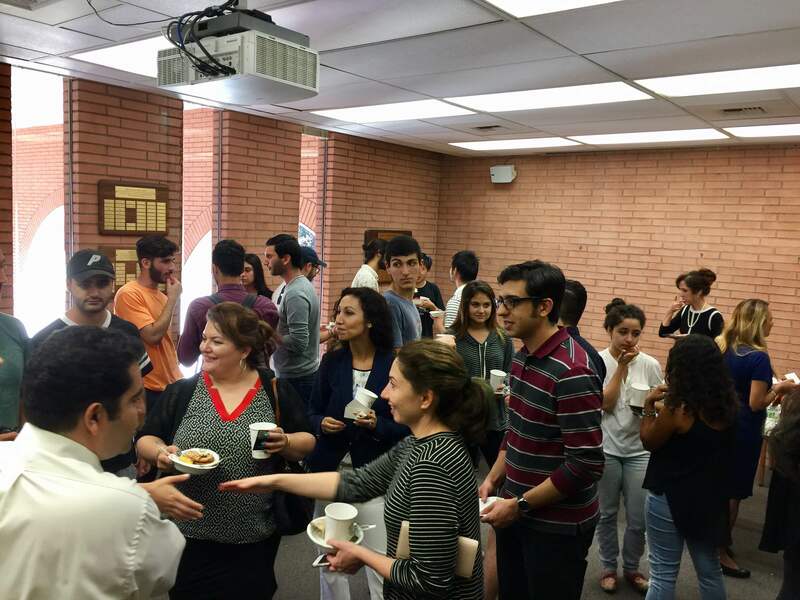 Persian students celebrate Persian New Year Noruz with the Iranian community. This is a personal page containing temporary links to photos and short video clips of teaching different communicative modes in a real Persian classroom. All materials are copyrighted and should not be copied or saved without written permission from the webmaster.